Sailthru Experience Center solution is leading a major shift in how companies communicate. Work for Sailthru Experience Center? Learning about Sailthru Exp. Center? "Sailthru is an excellent tool for running marketing email automation and personalization"
I like how much we are able to do with Sailthru, there were a lot of limitations on our previous systems and with Sailthru it is more a question of how we can do what we want versus if we can do what we want. Centralizing the data at the user level (instead of lists or subscriptions) allows us to truly see what is going on and provide a better experience to our customers. Some of the more advanced functionality requires more technical knowledge than other systems I have worked with, but the trade off is having a lot of control over what you are building and less limitations with what you can do. The reporting systems could be a bit more robust, but all of the basics are covered. Sailthru might require a bit more technical knowledge to get the most our of it, but it is definitely worth it. With Sailthru we have been able to centralize our personalization data and we were also able to get rid of a few separate systems to run all of our email and site personalization through Sailthru. We have also been able to integrate a lot more personalization throughout our site and marketing efforts. "Best ESP I have used to date"
The customer service is second to none. I feel as if my CSM is truly looking out for the best interest of our company and not just looking to onboard us for the money. I love the Sailthru Academy days and plan to attend everyone that I am given the chance to go to. When we have run into issues, the response time is nearly immediate and if what I am asking for isn't something currently available, Sailthru engineers create a hack for us and they note it for future product developments. I also love the flexibility with the drag and drop template builder. It is really intuitive and empowers the non-engineers on our team to use it freely. I actually used Sailthru at an old company as well before my current position at a new business. When our old contract ended, I vetting a least a dozen ESPs and selected Sailthru again. I think that the overlays feature is still a work in progress and would like it to be just an smart as the template builder. We have had to ask for a fair amount of coding hacks to get it to be as flexible as we would like to be, but based on the product call I listened in to, I believe a lot of these changes are on the roadmap. The product has really improved over the last few years! I used it back at my last job when there wasn't a drag-and-drop template builder and they are really listening to the needs of the customers. Our team is really, really small here. We don't have a devoted design or engineering team to help with newsletters so we need to be nimble. Sailthru fully understands this and has built this product to be as easy as possible to operate independently. "Forward thinking and customer focussed"
Loyalty - it really does pay to not switch CRM tools every few years. I'd recommend building a good rapport over a number of years with your chosen platform, the benefits can often outweigh the small upside of saving a few £'s. This does not mean you do not challenge them when the tough questions come round. Customer focussed - the support I've received is second to none. After the first year of using Sailthru, the main reason for signing up to a second term with Sailthru was due to the timely support I received in the critical first year of setting up Sailthru. Staying one step ahead - Sailthru values feedback, they are always looking to find out what makes us marketers tick, and with that build solutions to fit our needs. In the four years I have used Sailthru I have seen the tool make huge steps forwards, mainly in adding new features, revamping the look and feel of the product. Also, ever wondered what is the best time to send an email? Well the answer is, it's different for each customer/user. Sailthru has a tool out of the box which will help you personalise the send time for each customer. Honestly - nothing comes to mind. They bring great customer support (strategic and tech) which is super responsive and have a huge set of training assets. My same feedback for any CRM/ESP. Do your dew diligence and go into the tool with the view that you will be using it long term. Primarily focused on increasing in-year repeat order rate and increasing active database. "Director of Email Marketing & CRM"
SailThru offers a wide variety of tools to drive conversion and revenue for our business. From their email and mobile marketing solutions to their site personalization manager, we are able to use various personalization algorithms to customize content and make every experience more relevant for our customers. Their email platform is very user-friendly with a lot of built-in functionality, which makes it easy to target users throughout the buyer lifecycle, from welcome and app-install campaigns to abandon cart/browse and re-engagement. Carnival, SailThru's recently acquired mobile solution, is not quite as marketer-friendly as their email tool. Basic targeting like platform and app install date exists out of the gate, but any additional targeting for automated push requires us to lean on our internal engineering resources. At the same time, our account manager and SailThru's support team has been more than helpful and willing to work with us to resolve our requests. I have recommended SailThru to multiple other companies looking for a new email service provider because their platform is very easy to use from a marketing standpoint, and their customer support is top-notch. One of the biggest focuses for our business right now is moving customers from their first to their second purchase within 30 days. Since the beginning of our SailThru implementation just over one year ago, we've been able to drive over 40% lift in movement among our customers. SailThru has enabled the Marketing Team to take ownership of this increase in conversion and continually optimize as our goals shift. "Solution for Simple to More Complex Campaigns"
Others may disagree but the step-by-step process to schedule a campaign helps us ensure (1) we got the right details in and (2) it looks correct. In our customer service team, it allows us to see in-depth customer details (revenue, emails sent, link clicks, and other analytics data) to help us craft a better and more personalized experience. The preview feature (side by side HTML preview) is a huge plus and it updates real time to ensure we got the right format in before hitting send. There are some features which can be improved - for example, deleting user lists. I haven't figured out a way to delete old ones altogether. You have to click delete, confirm, and then it refreshes. Then repeat. When adding a user list, it would be best to take us directly to the list itself so we can add the emails right away versus searching for the newly created user list before being able to add the emails. This is a scalable solution which I believe will work in both startup and established environments. I have recommended this solution to other partners and so far they are happy with it. They have a great product support team and documentations. There are mainly two - targeting specific users based on set parameters (tenure, purchase history, engagement level, etc.) and doing batch emails to alleviate some workloads off our certain teams. "Great recommendation engine but poor UI"
The recommendation engine is very easy to use, which helps to generate personalized email content. If you are in the media industry that will be very helpful with breaking news content or last minute email campaigns. HTML display is located side by side which is pretty helpful, changes appear immidiately to the body of the email. New addition to a tool is drag and drop editor template is pretty great. Not an entry level product, the UI is not intuitive. Reporting is very hard to use, no way to search or filter by the campaign name. The tool is missing simple functionalities such as caping email lists or setting up a random 3-way split of the list. If you would to send a geo-targeted banners you need to send an email to support in order to do that. Very inefficient and time consuming. I wish they had more stratgeic guidance. The tool is mostly to send newsletters and is not focused on building strategy, hard to imagine using this tool if you are in ecommerse or retail industry. Definitely learning curve, make sure you have a correct level of support otherwise you end up reading a ton of documentation. Yet webinars are pretty helpful to start with. Daily and weekly adhoc campaigns, minimal triggered campaigns. Targeted lists, segmentation, building landing pages such as sign up or enroll pages. Banners and page breaks. Dynamic subject lines. This is the 3rd ESP I've used in my current position in media email marketing. I've used Experian and Salesforce, and neither begin to compare as far as ease of use and endless possibilities within personalization. My only complaint WAS that HTML coding became a bottle neck for our tiny team. As soon as email composer was released, our email marketing program took off. I'm able to tackle a huge volume of work that my coding team never would have been able to handle. I'd consider Sailthru the best of the best when it comes to ESPs. Just keep in mind as a marketer that you'll only be able to utilize the best capabilities of the tool if you have a Dev team that is on board with your goals and puts marketing at the top of their priority list. I've used Sailthru since October of 2017 and we're still working to get a lot of the most important APIs in place. Loop in your Dev team and prioritize getting them on board as quick as possible or the Sailthru on boarding process will hit a dead end and leave you disappointed. I believe this is the biggest obstacle for any marketer in the tech space. So many benefits--we've tested Personalized Send Time versus blast on several occasions and always prove its value within our open rate results. We use the user variables to segment our audience and send custom emails to members of our service and those we'd like to acquire. "Sailthru is an essential tool for managing large email or SMS marketing campaigns"
Sailthru's web interface is easy to navigate, extremely fast to look up individual campaigns and customers. Even hunting through the history of a campaign's emails or a customer's received emails over their lifetime is super fast.. Analysis of any big sales campaign is super well visualized so we know how much revenue we're generating in real time. It's API allows, among other things, dynamic updates of any part of a customer's data, meaning that when we send email or SMS, we know the most up-to-date preferences and data to be able to correctly personalize names, images, links and to know whether to send or not. We have had issues with legacy product data sitting in Sailthru when it comes to using it's product recommendation engine - at times we have to wipe out all of our catalog data and start over, meaning that we lose the valuable insights which lead to a better and more personalized set of recommendations. This may be something we could overcome with better integration on our side, but until now, we have been living with the ongoing issue of stale data being in our product rec. mix. We use Sailthru for all Email and SMS marketing campaigns. It allows us to schedule these emails based on sale timing but also based on the local timezone and, potentially, when the customer is most likely to open their email (customized based on past behavior at a customer level). Sailthru also lets us A/B test different content and subject lines to see which gets a better open rate, click rate and conversion rate. We have also used Sailthru to generate birthday emails based on the customer's DOB. All of these have generated significantly increased revenue and lifetime value for a given customer. "Take action on your customers' behavior"
The Sailthru Content Library allows for robust data collection about your products, which allows you to analyze and take action on your customers' behavior. Tools like Lifecycle Optimizer let you automate specific actions based on behavior that's both granular or general. For building customized segments, Audience Builder has powerful tools to let you target your customers most likely to engage based on a myriad of different behaviors you can customize. Top it off with friendly, responsive support, and you've got the best marketing automation platform around. In certain parts of the admin backend, it would be nice to see a simpler way to navigate through the UI. Sometimes things take a few extra clicks. Luckily Sailthru makes regular updates to their backend, so by the time you're reading this my gripes may have already been addressed. Spend a little time getting to know the documentation and your CSR. You will benefit greatly from understanding the full scope of what the platform does, and how you can use it to improve your marketing efforts. Ask your CSR questions when you have them—you will get answers. Before Sailthru, we sent manual email campaigns. Every one considered, designed, and built. Now, we can dial in specific parameters to target specific segments of customers based on their behavior and serve them personalized content of which they'll have a higher likelihood to purchase—and the emails send themselves. It is very easy to create emails and sending campaigns. The new template builder has drag and drop functionality that doesn't require a lot know how. It is also easy to see how many clicks or % where on the single items in the email. And the campaign summery shows the important things in one view. The customer service is excellent. Inquires are dealt with in a speedy and professional manner. The new template builder is more the email builder now and therefore needs some more functionality like copy & paste from one "template" to another (apparently in progress). Also, because of having this tool now, the former way of setting up the campaign and having the email creation in there is a bit obsolete. I don't know any other bigger products on the market but I'm pretty impressed by Sailthru. Creating and especially swapping around email content is much faster now. The snapshot report is pretty good. I can look at lists and see at glance where they are and any assigned attributes to them. The audience builder is a big game changer since I'm able to drill down and segment certain lists. Though we don't use it here, the personalization features are great to have for newsletters. Support has improved a lot in the last nine months. It used to take a while to get responses back and now you get them fairly quickly. There is a pretty high learning curve using Sailthru but there are return on investment are worth it. This isn't mailchimp or babby's first email sender. This is for business' that need to do a/b testing, gauge engagement, segment and geo target users. Not something you'd use to pump up your etsy store. So there's that. This is definitely worth it if you are looking at the data side of things and need reporting. Engagement, open rates and geo location. The online help and support has greatly improved. Geotargeting users and segementing users for email lists. We can now know where are users are and what the real engagement of our users actually is. "Solid automation with great customer support"
Intuitive pipeline development through the Lifecycle Optimizer makes behavioural triggering effective and worthwhile. User segmentation is also automated using smart lists, keeping our users where they should be as they move down the comms funnel. Drag and drop system is really helpful. It's drastically reduced developer time to create templates and allows operators with a minimal coding background to create templates quickly. It would be helpful to be able to trigger a pipeline from the client side. Right now pipelines are triggered by user activity, which though helpful, stops me being able to create a smart group, send out a blanket email and start the automation from there. i.e. product launch > email all users > automated comms then start based on behaviour within that pipeline. Flows in Lifetime Optimizer can't be scaled and nodes(triggers, actions, etc) cannot be manually moved on the screen. When building large pipelines this can sometimes make the flow hard to follow. We've overcome this by pre-designing a draft of the flows and rebuilding in SailThru. If you're looking for an automated communications platform which is easy to use, has several helpful features, manages your userbase, and has great customer support, Sailthru is a very good choice. Continued automation and distribution of communications (emails and overlays) with less developer time (i.e. building email templates) and able to be managed by a small group of people. "Easy to use for the non-tech savvy"
I'm new to email marketing and the Sailthru team has been so helpful in getting me up to speed. The platform is super easy to use and intuitive for someone like me to figure out who is not as tech savvy as others may be. I'm able to create new templates using the email composer tool (no knowledge of coding needed) and set up flows to control the customer journey through Sailthru's Lifecycle Optimizer feature. I wish we had the ability to send to users local time, rather than sending all at once. However, Sailthru does have a personalized send time option as well which I haven't tested yet. Great customer service and easy-to-use platform! I'm using Sailthru as a customer retention tool to mail campaigns and transactional templates to existing customers. Weekly email campaigns sent through Sailthru are one of the biggest revenue-driving channels for our company. Sailthru is a robust, marketer-friendly platform with an amazing client and support team. Our company has used them as an ESP, mobile messaging and site personalization platform. Their personalization algorithms and lifecycle optimizer have really set them apart from other ESPs we have used. We have had a bit of a hard time implementing mobile messaging through their mobile product Carnival. However, the Sailthru team has been there every step of the way to help us resolve the issues. I would definitely recommend Sailthru to companies looking for a marketer-friendly, robust product. We have used Sailthru as an omni-channel CRM solution. Because Sailthru has email, mobile and onsite solutions, we have been able to implement more personalized messaging to our members where it matters most. We have also been able to automate a lot of this messaging, allowing us to focus on developing more campaigns and personalized touch points. "Such great support and easy-to-use platform"
I love the support team and how helpful they are! Any questions I have or things I need, they're right on top of it and there to help. Sometimes our weekly calls don't feel very productive. We have to bring issues and questions to the table. Most of the time we aren't given updates or helpful tips on their end unless prompted. We are constantly testing things so everything from subject lines to entire creatives. We are able to drive results thanks to all of their many ways to set these tests up on the platform utilizing multiple different tools. Sailthru has a ton of incredible features. The personalization engine, personlized send times, somewhat useful user interface, and a helpdesk that is readily available. The setup process was great. We were assigned a project manager and eventually a Customer Success Manager. The project manager was tremendously helpful in getting our platform off the ground. It was easy to get our newsletters out quickly and efficiently. Our CSM wasn't the best. When we finally decided to end that level of service, our whole platform was audited and found to be set up in a very odd way. Our biggest problem is that we are a publisher and send newsletters primarily. The entire system was set up for merchant services and not publishers. Our entire experience was trying to fit a square peg in a round hole. Be sure you are aware of the merchant heavy purpose SailThru serves. If you do anything other than that, you may find yourself frustrated. We send out daily and weekly newsletters and occasional re engagement campaigns all in the name of driving traffic to our sites. We haven't realized many, but one key benefit is the metrics that are reported. Most data is easy to find and easy to understand. "Great Way to Monitor Link Clicks"
I like being able to see which links have been clicked on the most, and specifically who clicked on them. I guess this could improve functionality a bit but other than that I don't dislike anything. Make sure you do your research and know what you are getting into! This website provides a lot of great info on clicks for different ads and links, but that's the majority of it's function. Our company uses a lot of ads in emails and websites, so being able to find out how many clicks and CTRs we got is so important because clients will ask for that information from us often. "Great for small teams "
SailThru offers easy to use platforms with easy. As a growing company, we are limited to resources and time. SailThru allows us to power complex lifecycle efforts easily. I've used other ESPs that make even the smallest requests difficult to implement but with SailThru, you can manage an entire channel with as little as 1-2 people. Support is minimal if you don't have a CSM which in my case was double the contract price. Lifecycle drips are super easy to create and maintain. Doesn't require any dev effort at all unless you're firing based on events. Sailthru's personalization engine, Lifecycle Optimizer, Audience Builder, Smart Lists and the new drag-and-drop template editor are great. Customer support is quick to respond and stays on top of issues until they're resolved. While Sailthru gives us a lot of agency in how we run our emails, I sometimes wish they provided more strategic guidance to help us with our goals, such as list growth, churn reduction, segmentation, inboxing, etc. There's definitely a learning curve. Read up on the documentation, join webinars and ask questions along the way. Sailthru is a reliable platform for delivering our email campaigns as well as facilitating personalized relationships with our users. Sailthru is a great tool for our company to get smarter with our distribution efforts. Most importantly, it is a very user-friendly, intuitive platform and the onboarding process was incredibly smooth thanks to their incredible support team. Nothing significant, although I am excited to see further developments in overlay customization. We are able to turn around newsletters more quickly, we are able to build with a mobile-first audience in mind, and we are able to dive further into customization to ensure our audience receives content they are most interested in. Prior to transitioning over to Sailthru, we were unable to build multiple campaigns at once, let alone segment those campaigns to specific audiences in an automated manner. "Great platform if you have time and resources"
This has automated all of our newsletters and very few people have to access the platform to put content into emails; it's all done via the various CMS platforms we use. We have found support to be very responsive and there has been a massive shift in account management in the past 9 months. This is not an entry level product; in order to get the most from Sailthru you need a talented development team. The automation platform is not intuitive and is currently limited however the latest version we believe will go a long way to solving this. There are definite improvements to be made in a number of areas such as reporting, the UI in general etc. but they seem to be working hard to solve them and the road map is good. The documentation needs work; it is difficult to find specifics on how certain features work and much of it is out of date. The video library for users is however a nice feature. You need to commit time and resource to make this work; if you don;t have experienced developers who have extensive knowledge working with API's then this isn't for you. Your initial set up is crucial; we have over twenty brands in our instance and now have a single customer view across those properties which is very powerful but you will also need to plug in a RaaS product to make this work and there are drawbacks around reporting. I would recommend Sailthru; it is a big commitment but worth the effort you put in. Automated marketing for newsletters both for content and ecommerce - most importantly we have been able to build a digital SCV using Sailthru although this was only achieved by combining it with our RaaS product. "Some of the best in the business"
The thoroughness, patience, and willingness to help that you see at Sailthru is second to none. No matter how large or how small the question/ask, the Sailthru team is always happy to help, digs deep to find the issue, and really makes sure that you're kept aware throughout the entire process. As someone who has worked and continues to work in many different ESPs, I can say for certain that Sailthru is a gem - the team is always looking for ways to improve (and they actually implement updates in a reasonable time unlike some other ESPs! ), keeps us as the customer engaged and kept in the loop, and really cares about who their customers are. From start to finish, every interaction I've had with the Sailthru team has been beyond my expectations, and I truly love working in the platform. It's really hard to say. To be honest, I can't think of much of anything that I dislike about Sailthru or their support team. It's a solid platform with solid folks working behind the scenes to deliver the best product they can. It's a great mid-level ESPs and really beats the competition pretty handily in every facet. We've pitched some fairly intense work to the Sailthru team to get their input, advice, and help with - everything from setting up custom templates with feeds, dynamic calls, and all that fun stuff, as well as simpler items like building out LO workflows that perfectly address our target consumers. Really, we've run the gamut with Sailthru and their team always helps deliver a solid result. "Great Partner, Not Just a Vendor"
Sailthru has been a strategic partner of ours for almost three years now. While they are a vendor of email marketing services for the organization, they have proved themselves to be more than a vendor and have become a partner. During the early days of our relationship, there were definitely bumps in the road. They stood by our business and made sure that we knew that they could help us accomplish our goals and ensure that they were doing everything in their power to resolve whatever issues we were facing. In the last year, Sailthru has put resources in moving their platform and services further but have not lost track of why clients have signed with them in the first place. They are not distracted by bright objects and understand that email marketing is the core of what their business is. There aren't a lot of big things I'm not a fan of within the organization. If you are a publisher, this is a tool that you'll need to seriously look at for your newsletter campaigns. The ability to drive engagement in your campaigns, through personalization, is much easier done through the Sailthru platform. The important thing to understand is that to make any platform work for you, it is important to have your own assets in place to support the campaigns. Sailthru is a solid email marketing provider that has a lot of great tools for publishers. Personalization is something that is important to drive engagement within email and Sailthru has allowed us to move this forward in our own business. It does what it is designed to do on the account I'm currently using it for. The interface is as simple and straightforward as it can get. I like the option to switch from standard to classic view. I've been using SailThru for about a year and I have virtually no problems with it. It's easy to use, it pulls the right stories to sort through in the feed without having to go back and add them, and the customer service has been great. I know that if there's a problem, I will get a personal response and almost immediate help. The only issue I have with the platform is that you can't go back to the feed after you've clicked "Build Campaign," but I was told they are working on a fix for this. 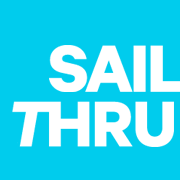 SailThru newsletters help us deliver content to our readers, aiding our viewership. "Ideal for retailers, not other businesses"
I like sailthru's campaign creation experience, as well as the audience builder (that they recently updated and made immense improvements to) and the new lifecycle optimizer product. The support responds quickly and is usually helpful. I find that they are constantly rolling out new updates across the board and are trying to catch up with some other more advanced ESPs. Sailthru sometimes makes tasks that you think would be easy *extremely* difficult to execute. For example, tracking opt-outs/overall churn with any sort of certainty is nearly impossible using just Sailthru. In addition, Sailthru has zero concept of how a user interacts with different emails -- they are either just universally an "engaged" or "disengaged" user on their scale -- for a publisher like us, that's not very helpful as many of our users are on multiple lists of ours. I think Sailthru is definitely on the up and up and is likely a great tool for retail companies (wouldn't know for sure though) but as a publisher, I frankly wish we had used a different tool from the beginning. I think you should have a complete in-depth understanding of all the bells and whistles you could ever want from your ESP and evaluate if Sailthru can meet those needs before making your decision. Through its Zephyr coding, Sailthru has helped us develop more personalized/targeted marketing campaigns. Its lifecycle optimizer has also simplified our re-engagements series and allowed us to more easily develop drip campaigns for specific products. "Super Smart + User-Friendly = What's Not To Like? " Honestly - I cannot think of anything i don't like about this platform. It's 100% worth the cost/implementation. The insights you will gain will garner this invaluable to your organization. "Makes every step from email builds to data reporting seamless"
I love how easy it is to import newsletter builds from my company's CMS into Sailthru! For more complicated builds, simply copying HTML does the trick too. The ability to tailor our email sends to our audience based on the engagement rankings that Sailthru creates is excellent. This way we can strategize our communication based on market area, interest in our brands, subscription to our other products, and much more. This is great in the era of digital media where niche marketing is becoming more and more valuable to both consumers and companies. The data reporting feature under details is very helpful for us as well, it is great to be able to see open rates and more at a glance for all of our builds. As a company that manages multiple brands it is also helpful to be able to switch in between these brands. For data reporting I wish there was a way to more easily import data into excel or google sheets documents. Right now I do this manually and it goes fairly quickly, but I wish there was a way to do data downloads more directly. Additionally my company manages several brands and i wish it were easier for us to switch in between brands, organize co-branded sends, or view certain email blasts from different brands in one place. I would highly recommend this to other users working in major media companies. We build email lists most relevant to certain market areas and can customize communication with our users on the basis of their engagement habits thanks to the Smart Lists in Sailthru. This helps us maintain an engaged audience for all of our newsletters. "Functional but could be improved"
Sending emails is quick and easy. The change made to allow the html and display to show side by side was huge. The system is pretty straight forward, which is great for training new users. Not completely intuitive. Nothing that damages the usefulness of the product, but just a few quirky things that are a little annoying. For example, when you create a list, you are then sent back to the mail list screen and search for the list you just made to add emails. Why? If I just created the list, I was probably intending to use it. Their customer service definitely falls into the "needs improvement" category. It's about 50/50 between getting a person and leaving a message. And about the same for getting a prompt call back. The quality of person also varies widely. I've gotten amazing people on the phone before. However, more often I get someone who barely has a grasp over the software they are trying to troubleshoot, and that's incredibly frustrating. We are sending marketing, personalized, and transactional emails for our business. Emails help us interact and impact user behavior, which is great. "Best in Class for Personalization"
The platform is extremely to use and manipulate to fit your business. Smart lists make targeting mindless for the builder but personalized for the receiver. we are much closer to 1-1 communication than in the past. we used to relay heavily on the data team to post lists and now we can build them ourselves in minutes. "Is best for merchant / deliverability wise"
Their deliverability services. A client have deliverability issues on their previous esp...and when we move to sailthru, they help us solve/fix the issue. Plus, features...send time Optimization, product recommendations, predictions, overlays, coupon manager (they called it promotions) and lifecycle optimizer. Campaign Scheduling (spending too much time on scheduling)...take too many steps to complete scheduling 1 segment...and sometimes have to wait for 2 or 3 seconds freeze before you can proceed on next step. Best time of the day to send via snapshot report. We can also use optimized send based on the ideal time the user may engage to emails. "Sailthru is a great ESP for growing companies"
We love the service, support, and features they are constantly rolling out. 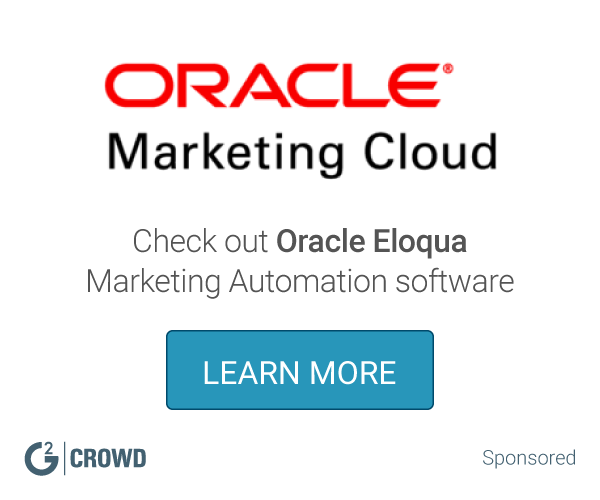 The product is not so developed yet and lacks an effective marketing automation which allows brands to engage with loyal users on a more direct manner. Understand your business requirements and then go for it. To engage users with growing news content allow them to constantly review our news and visit all platforms. "Sailthru is a great ESP, but could use some improvements"
I like the step-by-step design for setting up an email. Everything is very easy to follow. I like the various options for A/B testing and the detailed reports provided by Sailthru. And Smart lists are amazing! I cannot go back and change a campaign type from a regular campaign to an A/B test or vice versa. If I need to add an A/B test, I have to set up an entirely new campaign. The click maps are also not always accurate and there is no easy way to isolate clicks that are spam. Our business is defined by sending out daily newsletters. Without Sailthru, this would not be possible! Additionally, Sailthru is easy to integrate with our other platforms. "Good Basic Data and User Inquiry"
Sailthru is good at some of the basics. It provides a decent breakdown of the daily numbers, orders, income, etc. But that's about it. There isn't a lot of customization. It is nice to look up specific users to see email campaigns, settings, and more, but beyond that, it's not something I entirely use on a daily basis. I wish there were more ways to integrate an internal systems with order identifiers to specifically lookup and/or resend certain emails. It doesn't have those capabilities, which may be chalked up to the internal system instead of sailthru. The main benefit I personally use is user email settings. It's great to alter or update those settings to best fit the customers needs. It doesn't help with emails retroactively, but at the least, it addresses any issues for the future. "Solid and Easy to Learn"
The user interface is laid out in a very comfortable and easy to learn way. The service and support is always great, and I appreciate the learning sessions they often have in our city. Not necessarily dislikes, but a wish list item here and there. A simple mobile app that allowed you to pause or cancel campaigns would be very helpful. Also custom color-coded tags on campaigns would also help to make it easier when dealing with multiple campaigns at once and knowing exactly where you are when it comes to needed changes and approvals. Analytics, automatic messaging via LO, and making it easier to send a large volume of emails to multiple lists. "What a great tool! " I love all of the webinar options. They're a really great learning tool to fit into your schedule. I also really enjoy the SailThru team. They're there for support just about 24/7. They really care about your business and are such a huge help at keeping it successful. There are certain things we want to do with email, but do not yet have the capabilities. Have an idea of what it is you will be needing SailThru for. that way you can be sure they have all of the right tools and training for you. There are way too many to mention them all! We have been on the forefront of mailing issues due to Hotmail changing their rules which helped to keep us from not reaching top customers. "Clear Email Marketing Platform With Great Potential Growth On Capabilities"
Predictability on customer engagement was very helpful for what we were trying to accomplish. Reporting is really lacking in Sailthru platform. That can definitely be improved upon. If your company is not at the enterprise level, I highly recommend using Sailthru. Although, for an ecommerce platform standpoint, they are still growing in functionalities for triggered sends on that front. I'd wait until Q3 if you wanted to switch to Sailthru with those capabilities (such as cart triggered emails). For the line of business in my company, it was difficult to segment data based upon interests. Having the ability to send to customers based on their engagement with us was very helpful as a platform. Their ability to track tags based upon what their interests are on our website was also super helpful in identifying customers who may be interested in our promotional offers that were schedule at that moment in time. Real-time tracking on campaigns is great, but can be improved. Reporting interface was awful. I love the live dashboard and how easy it is to pull reporting and segment snapshots to get deeper dives. I wish there was a way to roll up click tracking when we mail by different segment. Sailthru is used for all of our promotional mailings, plus all of our triggers (outside of transactional emails). The usability is great and the UI is easy to maneuver. "Great push and in-app notification company." The ability to make their messaging system work however you want it. We are able to do a lot of custom things in our in app-messages. It works really well for us. The documentation is pretty short sometimes. They could definitely build out their mobile documentation to make it easier. It has made talking to our customers super easy. We can build rapport with our customers by constantly talking to them. The customer service team was fine — they tried to help. Unfortunately, although the customer service team is responsive and tries to help, they do not have a broader picture of what is going on with your account. So any question that requires any more than just a quick explanation of how to do something, will confuse customer service too much as your question gets bounced from one agent to another every time you give them more information. Their onboarding process was flawed. They missed huge mistakes with the setup of our account that meant for years we were not capturing customer information in Sailthru! Everyone else who works there (other than customer support) is impossible to deal with. It really makes you wonder if there is anyone in charge there. Even the person who was supposed to be renewing our contract (and who was trying to get more money out of us) would usually completely forget to respond to our emails. At the end it became laughable. We would tell them we were having trouble setting up a certain functionality, and we would struggle with trying to fix it for months — and right after sending another follow up email to them for help on it, we would get a mass marketing email telling everyone how great that exact functionality was! All their marketing emails would crack us up because sure, that functionality exists, but was any client actually able to use it? Probably not. If you have great developers that can figure everything out on their own (with no support) it might work for you. Otherwise, do not use Sailthru. My favorite aspect of Sailthru is the Template editor which allows you make updates and preview your template without having to leave the page. I feel that the drag and drop template editor can use some improvements when it comes to customization. Updating this would absolutely make this feature my new favorite. We are able to send out customized email templates quickly and easily without having to worry about most email client css issues. Another benefit would be that it integrates well with our existing platforms. It's gotten the job done so far, which I want to emphasize because this part should not be overlooked. It handles most things well, but there could be a lot of refinement on this product. The UI and terminology is very confusing. I have to train folks on how to use Sailthru and the logic surrounding campaigns templates and lists leaves much room for improvement. I still can't explain it and instead we force the people using it at our company to follow a step by step process that we've found to work albeit doesn't feel like the way Sailthru wanted it to work. It'll get the job done, but I find the interface to be confusing. The terminology is not very clear and the workflow is a bit convoluted. Sending emails to a list of subscribers to a newsletter every morning at a set time, which can be scheduled -- and most importantly, works. "Somewhat niche email marketing and content personalization tool"
My own job deals primarily with email design/development, so the ability to hand-code data displays and conditionals in their Zephyr scripting language is pretty amazing. Support is very attentive and usually both effective and timely. The lack of a WYSIWIG email editing interface is going to be crippling for the majority of business users. The way they distinguish email "campaigns" from "templates" has a certain internal consistency, but it isn't really intuitive and doesn't fit the way our business manages its recurring emails. The personalization engine itself is functional, but quirky. You can assign "team" labels to projects, but they have nothing to do with permissions; and you can assign permissions levels to users, but they're not nearly fine-grained enough to be useful. This is not an entry-level, dip-your-toes-in kind of product. You need a designer with serious HTML chops. You need a database developer to manage the API. You need a manager with a head for analytics and strategy. You also need an external CRM system, because this isn't one (although it can be coerced to play with yours). If you have all those things in place, though, Sailthru can do a lot for you. We're trying to customize both email and website content for our user base. Sailthru has definitely enabled us to step up our game. Sailthru has a super easy to use interface - which is great for someone who doesn't have a tech background. We use a lot of custom vars, custom pages and flows to power our subscriptions. Early on, we had time-outs, but those have since subsided. The ability to organize templates and lists could be better. "Easy to use, great service"
Sailthru is user friendly by providing step-by-step set up. Their customer service is great and quick to respond. They also send out automated emails if there are any issues with their services. Sometimes the platform can be slow. There have also been times where the platform is down. sending mass emails to different email lists. "Great platform and product team"
Intuitive platform for delivering feed-based newsletters, with some flexibility for bespoke content. Analytics and smartlists allow the business to react to user interactivity. There are certain limitations around how bespoke content is authored, but there seems to be serious development around this. Analytics are key to help us with our business decisions. "Team That Cares About Your Success"
The team at SailThru truly cares about the success of your business and your email marketing. They are quick to share innovative ideas and explain new tools to help you optimize your email campaigns. They've gone above and beyond for our team - I've had a call with heads of the business to go over how to make sure we're getting the most visibility in the wild wild west of the email inbox. There's nothing I've really disliked with the platform thus far! Learn more about the opportunities that you can gain through using SailThru. You'll be stunned by just how many things you'll be able to do with the tool and it will help you make up your mind about going with them. They take extra care with their customers and their tool is robust. The email marketing possibilities you've dreamed of come with SailThru's platform. They've found the way to target and slice and dice your data within a beautiful interface. "Good extensive feature set; problems with bugginess and support"
The feature set is very good - split-testing transactional emails without needing to involve developers; very intuitive email nudge systems; personalized send times; etc. We have experienced almost constant problems with the reliability and bugginess of the product: uploads and downloads get stuck often, reports don't run correctly often, we had (single) incidents where code in subject lines wasn't resolved correctly and even twice that we weren't able to send campaigns for 2-3 days. The sales / account management staff was hard for us to work with and frankly, very disappointing - it takes at times weeks for them to get back to you, and they seem to brush off what in our eyes are serious problems with their tools, causing significant business damage at times. Our biggest business problem was being able to split-test transactional emails, and this tool solves this. Second to that, creating email nudge paths depending on user behavior, demographics etc. that is very intuitive to do with this product, yet also buggy in our experience (we had almost constantly a handful of paths not work correctly - out of 30-40). "Good product with strong customer support"
The platform is primarily used by our ecommerce team, it's also user by the developers and product managers who can easily create templates using their visual code feature. Newsletter campaigns, events and mailing. Learning about Sailthru Experience Center? * We monitor all Sailthru Experience Center reviews to prevent fraudulent reviews and keep review quality high. We do not post reviews by company employees or direct competitors. Validated reviews require the user to submit a screenshot of the product containing their user ID, in order to verify a user is an actual user of the product. Hi there! Are you looking to implement a solution like Sailthru Exp. Center?